Having a rough life growing up, Wang Tong had numerous dreams of living a better life. However, his alcoholic foster father sells him off as a space settler of the distant planet Norton for some pocket change. Soon after his arrival, the Zergs overran the planet and obliterated its defenses in a matter of minutes. What awaited Tong on Norton was more than just an unbearable environment – its gravity alone was five-times stronger than earth – there were also swarms of bugs, constant hunger, thirst, and desolation. While he lives a year of total carnage and survival, humanity’s Confederation eventually overcomes the Zergs on Norton and the powerful survivor Wang Tong is given a recommendation to a once famous, but now dying military academy where he begins his life anew. 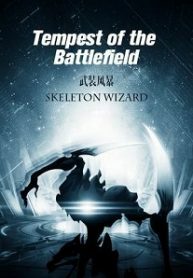 You’re reading Chinese web Novel “Tempest of the Battlefield” on BOXNOVEL. We will have 1027 Chapters to completed this. Thanks!